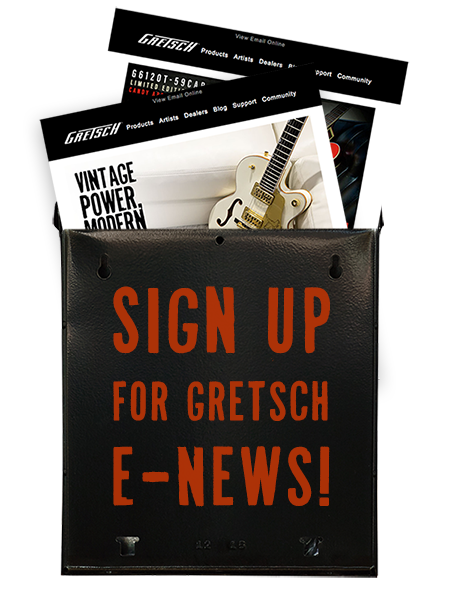 Gretsch received a shout out in a recent Guitar Player article on Stone Sour guitarists Jim Root and Josh Rand, and their new album Audio Secrecy. The guys go into great detail regarding the various guitar parts on the album, gear used, and how they achieved a layering effect on some of its tracks. That’s when Gretsch pops up. Pick up the 2011 New Products Guitar Player issue to learn more.